The Gay and Pleasant Land? Project is a research project that took place as part of the New Dynamics of Ageing Programme(a unique collaboration between five UK Research Councils—ESRC, EPSRC, BBSRC, MRC and AHRC) on ageing in 21st Century Britain. Our project at Bournemouth University is one of the seven projects in The Grey and Pleasant Land? group of projects funded by the NDA in south west England and Wales. The Bournemouth project, “Gay and Pleasant Land?—a study about positioning, ageing and gay life in rural South West England and Wales” took place over three years. Through an exploration of the recollections, perceptions and storied biographies of older lesbians and gay men and their rural experiences, the project focused on connectivity and the intersections between place, space, age and identity.Connectivity and identity are central concepts within the project, developing an understanding of how sense of belonging may be negotiated within a rural context. Connectivity can be understood as the ways in which individuals identify and connect themselves with others and the ways in which this may be filtered by aspects of their age and sexuality. Identity and the ways in which older lesbians and gay men choose to disclose their sexuality as part of their identity exerts an influence on the ways in which individuals make connections within the wider community. Based on social research into the older gay experience in rural south west England and Wales by the Bournemouth University School of Health and Social Care, the story dramatises the old and continued prejudices of village life from three main perspectives. Chiefly it is the story of Rufus, an ‘out’ older gay man who was exiled from the village as a youth and reluctantly returns from London to sell his dead parents’ cottage, where he is forced to confront the faces of his estranged past. Of these, Abigail is the tattle-tale who ‘outed’ Rufus 50 years ago when he spurned her interest. She has become a lonely deluded lush. Flip, the boy Rufus adored, has also stayed in the village: a life wasted in celibacy (occasionally interrupted by anonymous sexual encounters) and denial (who is) looking after his elderly mother. But Rufus too isn’t whole, saddled with an inability to return or forgive. Jones, K. (2013) “Research as Fiction: ‘The Return of Rufus Stone’” Sociological Imagination Dec 22, 2013 Also available here. Fenge, L.A., Jones, K. Read, R. (2010) “Connecting Participatory Methods in a Study of Older Lesbian and Gay Citizens in Rural Areas” in the International Journal of Qualitative Research. Also available here. Fenge, L.-A., Jones, K. (2011) “Exploring Sexuality, Ageing and Rurality in a Multi-Method, Performative Project” British Journal of Social Work. Also available here. Jones, K. Fenge, L.-A., Read, R., Cash, M. (2013) “Collecting Older Lesbians’ and Gay Men’s Stories of Rural Life in South West England and Wales: ‘We Were Obviously Gay Girls … (So) He Removed His Cow From Our Field’” Forum: Qualitative Social Research Also available here. Jones, K. (2012) “Connecting research with communities through performative social science”.The Qualitative Report, 17(Rev. 18), 1-8. The paper makes a case for the potential of arts-based social science to reach audiences and engage communities. Also available here. Jones, K. (2013; August) “Infusing biography with the personal: writing Rufus Stone”. Creative Approaches to Research. An auto-ethnographic report on the writing of the film’s story and working with a professional film director. Also available here. Jones, K. (with T. Hearing) (2013) “Turning research into film: Trevor Hearing in conversation with Kip Jones about the short film, Rufus Stone”. Ch. in Qualitative Research in the Social Sciences, M. Lichtman, Ed. New York: Sage Publications. Jones, K. Fenge, L.-A. (2013) “Involving older gay men in research: the lure of group experience”. Ch. 7 in Men and Masculinities (209- 222) B. Pini & B. Pease, Eds. Basingstoke UK: Palgrave. Background on the research, film production and screening updates. 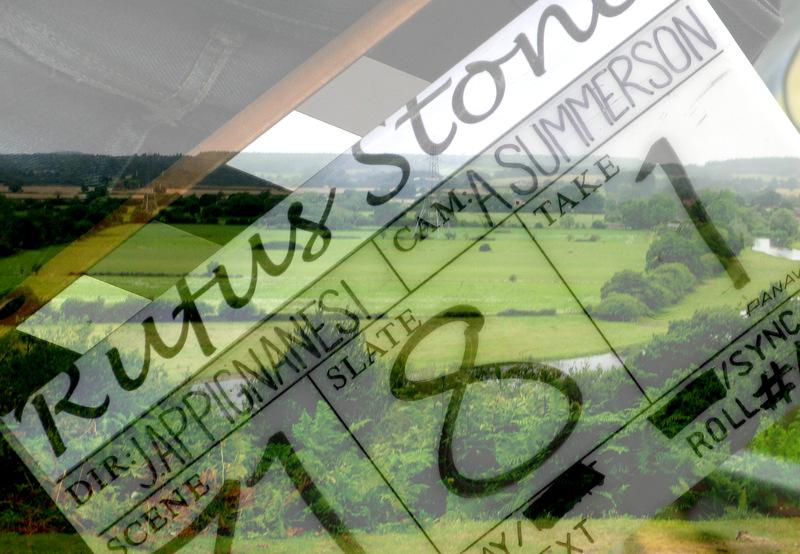 RUFUS STONE Trailer (Hearing-Hillard-Jones edit/mix) from Kip Jones on Vimeo. You can now watch the film on line.